False Bay is flanked by Cape Town’s iconic Table Mountain range and is one of the largest embayment’s on the tip of the South African continent. 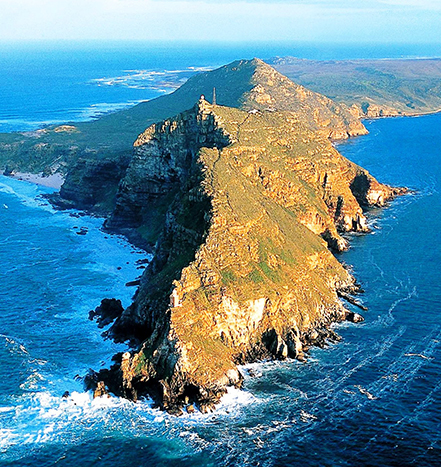 Along the coast line towards the Cape of Good Hope, rugged rocks, caves and sheer cliffs towering more than 200 metres above the sea and cutting deep into the ocean, provide spectacular views from the seaward side. 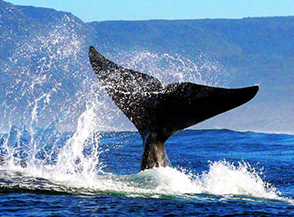 False Bay and around Cape Point is home to an abundance of marine wild life and is one of the few places where you can witness such an extensive range of marine life. 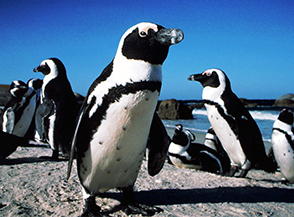 We often encounter pods of Dolphins, Cape Fur Seals, African Penguins and the Great White Shark. 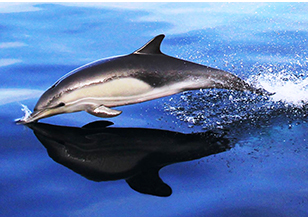 Certain times of the year we also encounter Southern Right Whales, Humpback & Brydes Whales and the occasional Orca can be seen hunting the Dolphins along the spectacular coastline. 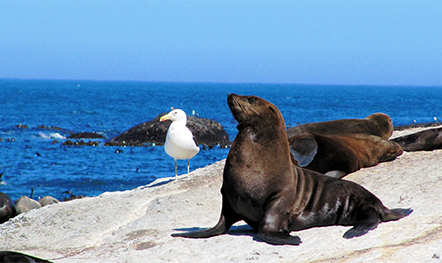 Seal Island, world famous for the Great White Shark breaching predations & home to a population of up to 70 000 Cape Fur Seals, is situtated in False Bay. This dense population of Seals in turn, attracts a large number of White Sharks & one can often see these phenomenal apex predators clear the water while hunting their furry prey. 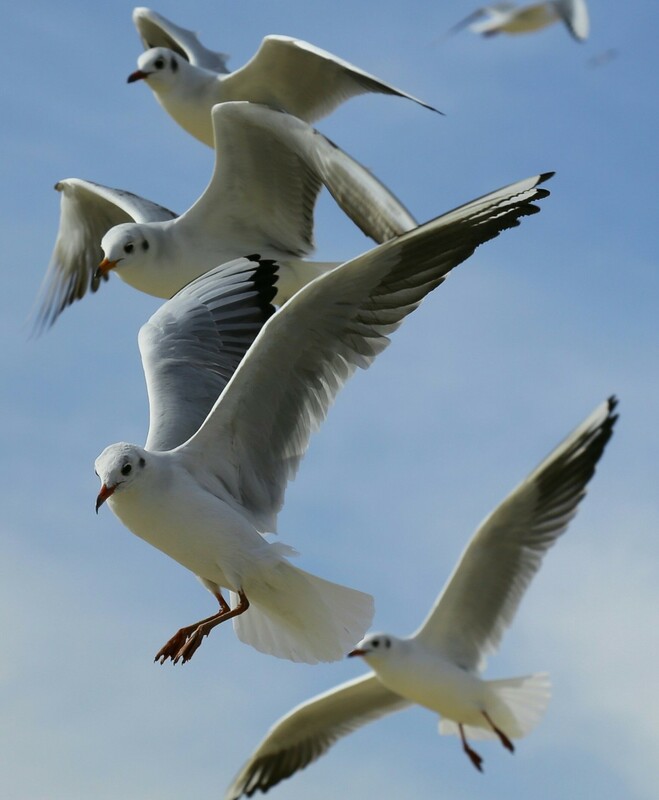 Seal island is also home to a variety of bird life. 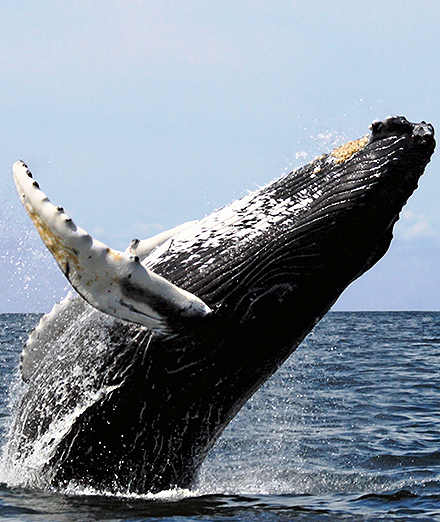 The Marine Eco Wild life Charters will be tailor made to your specific requirements and interests.